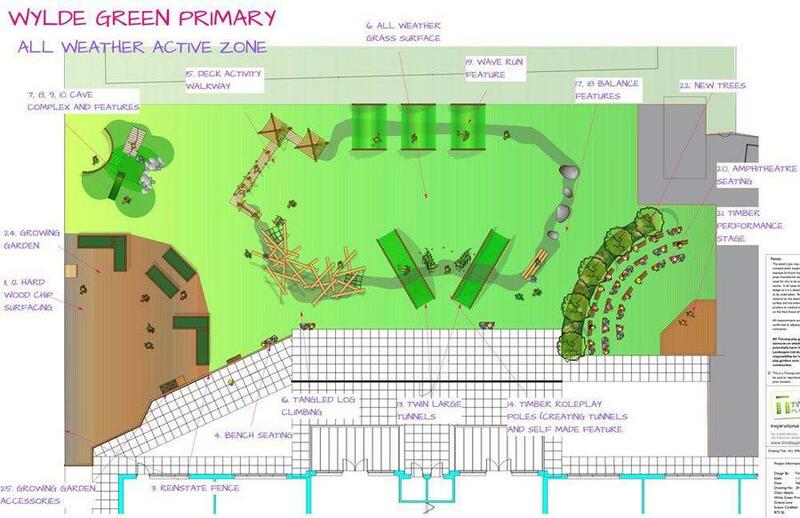 As you will already be aware our exciting playground project ‘Breaking New Ground’ has now started. You will see it develop over the next few weeks and hopefully, weather permitting, it will be completed by Easter. Once construction is finished we will have an all weather play area giving children access to an extra 750 sqm of playground all year round. This is thanks to a very generous contribution from Sutton Coldfield Charitable Trust, the Governing Body’s financial commitment and our wonderful PTFA who have worked tirelessly to raise funds. During the week of 24 February the children met Neil Wilshere the Project Manager. He spoke to the children in an assembly and then they will have the opportunity to talk to him on site. This has been and will remain an all school project with everyone working together to significantly improve outdoor facilities for our children. The next phase, once funding is secured, is to build the Sensory Lodge. We are continuing to apply for funding and will hopefully find out if bids to Tesco, Co-op and Ranstad have been successful in the next couple of months. We welcome any further assistance or ideas that will help raise funds and thank everyone who has supported the various fund raising events to date. Watch out for details about our next big event – Skipping for Our School which will take place on the 4th April! 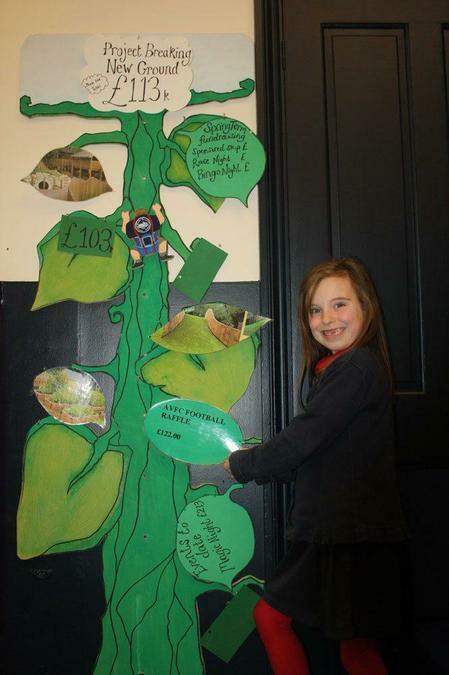 We have been adding leaves to the fundraising tree for each event to show how we’re getting towards our fundraising goals for the playground. 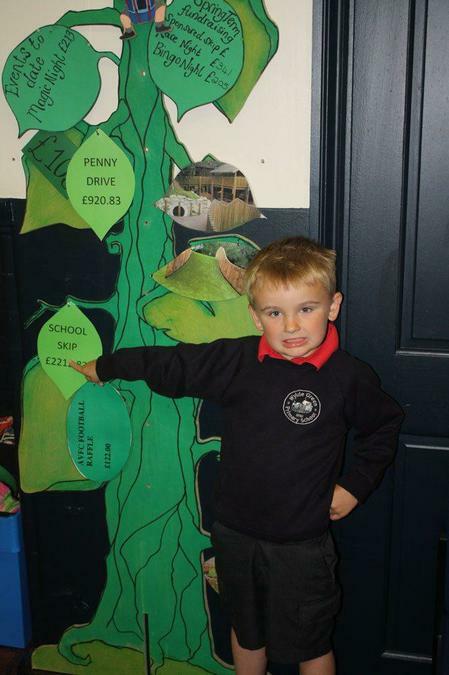 The Skipping Day total is a massive £2212.83! Thank you to everyone for your support. Our winner for the raffle of the Aston Villa football, helping to raise £122 for the playground development.